DNA Sibling test can help determine whether two individuals are full or half siblings. Our laboratories provide powerful testing for Sibling cases. Every Sibling test that we perform examines three areas: whether two people are full siblings (same mother and father), whether two people are half siblings (only one parent in common), or whether two individuals are not related as siblings (different mother and father). DNA Sibling test is usually ordered only in cases where it is impossible to test the parents (deceased, missing, unable to participate, etc.). This is because the Sibling test is not as powerful as a DNA paternity test. The relationsip between a parent and child is very direct, and thus, paternity or maternity testing will always provide conclusive results. However, the relationship between two siblings is not as direct. The results of a Sibling test may provide you with an indication of whether two individuals are related, but depending upon each case, the results may not always produce conclusive answers. When a Sibling test is performed, the laboratory will test all 16 STR markers on each of the potential siblings in order to obtain a full genetic profile for each individual. The genetic profile of the individuals are then compared against each other and statistical calculations are performed to determine the likelihood that the two individuals are siblings based on the similarities of their genetic profiles. Depending upon the numbers of markers that are shared between the potential siblings, the rareness of the markers and the pattern in which the markers appear, the laboratory will use statistics to generate a Sibling index. The index which is generated will provide information regarding the relationship between the two individuals. If the two individuals are full siblings, the full Sibling index will be higher than the half Sibling index. If the two individuals are half siblings, the half Sibling index will be greater than the full. If the two individuals are not related the Sibling index should be below 1.0 and if the two individuals are truly siblings, we would expect the silbingship index to be above 1.0. 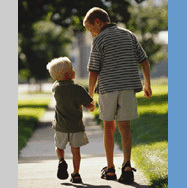 Because the Sibling test may not always provide conclusive results, we recommend the paternity test wherever possible. However, if it is impossible to conduct a parentage test, the Sibling test may be the next best option for you. If you would like to discuss the limitations of this test in more detail, please contact our laboratory directly at 1-866-708-2128. Order the private DNA Sibling test kit online or by telephone. A Sibling testing kit will be shipped to you immediately. Results in just 3 to 5 business days. You are welcome to contact our laboratory at any time to check on your test and to obtain preliminary results over the telephone using your password and file number. The final results are send to you by mail or email.